Below Davis Dam here along the Colorado River the striper bite is much better at the lake. 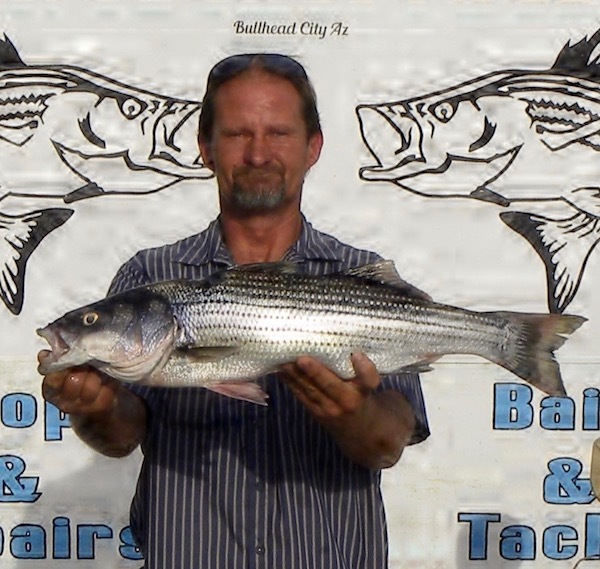 Our local anglers Mike Merritt and side kick Pat Farley were able to bring in their limit of stripers. They were fishing in Mikes boat in the upper big bend area using anchovies to land their limit of 10 fish each. The Rainbow Trout that we are getting from the Willow Beach hatchery should be in the 12 inch range. This stocking will start in early October and will run through March. The bag limit of trout was recently changed below Davis Dam to 5. So it’s a 5 fish limit per angler.